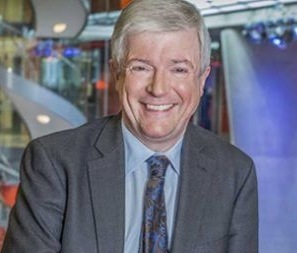 In a wide-ranging speech to staff on ‘The BBC in the Internet era’, Tony Hall, BBC Director-General, has said the Corporation will need to do even more to support creativity in the Internet age and warned against the consequences of a UK dominated by “global gatekeepers, partial news and American taste-makers”. Hall’s comments followed the recent Select Committee report on the future of the BBC. “I welcome the report – it’s an important piece of work and a very useful contribution to the debate about the Charter. In particular, I’m heartened by the Committee’s support for a ten-year Charter – that’s important for our independence. I welcome their support for our record on efficiency and for our plans to make sure we keep on delivering even better value for money in the future. That’s what compete and compare is all about,” he suggested. Hall said the BBC’s view had always been that the licence fee should be updated to reflect changing times. “I welcome the Committee’s endorsement of our proposal to require people to pay the licence fee even if they only watch catch-up television. The committee has suggested another route to modernising the licence fee – a universal household levy. Both proposals have the same goal in mind: adapting the licence fee for the Internet age. This is vital. Because I believe we need and we will need what the licence fee – in whatever form – makes happen – more than ever,” he averred. “In fact, I’m going to go further and argue that if we didn’t have a BBC funded by a licence fee, such is the world we face, we’d have to invent it,” arguing that first, that the BBC had embraced the Internet age; second, that the Internet strengthens the case for the BBC, and third, that the Internet gave the BBC tools to make public service broadcasting even better. “To do this, we must reinvent the BBC once more,” he declared. He said that not only was the BBC already doing well in the Internet age, not only would there be more need for the BBC in the future, but the BBC could give audiences even more in that future – if it continue to be a pioneer. He noted that since the last Charter, the market had gone global. “Ten years ago, the BBC and Apple had the same global revenues. Today, Apple is 20 times bigger. Twenty times bigger. And that gives them colossal buying power. So, that’s clearly a challenge for us. But it’s also a huge opportunity. The BBC is one of the best programme-makers in the world, and the Internet gives us new ways to get our programmes to new audiences around the globe, and new partners to work with,” he suggested. In conclusion, he said that the BBC strengthened Britain’s competitive position immeasurably. “From television to music, writing to filming, the BBC is a huge part of why the UK is such a great exporter of creativity – and why over a sustained period the creative industries have grown much faster than the wider UK economy. We’ll need the BBC to do this even more in the Internet age. To provide the platforms that others use, like iPlayer. To help create markets – as Netflix have said that we did with online TV. To support other public institutions to make the same transition to digital, helping them make the most of the Internet age too,” he added. According to Hall, the BBC’s future – and the UK’s future – in the Internet age are not guaranteed. “We must take on the notion that the old ideals of public service broadcasting may become irrelevant. Because that notion affects what we decide now. If you think you’re running something down, you don’t think about what you can do to help it flourish. But if we want a BBC that’s even better in the future, we will need to take far-sighted decisions now so we don’t inadvertently let the BBC wither,” he claimed, suggesting that this future was a choice for decision-makers, with the BBC at a cross-roads. “Down one path lies a BBC reduced in impact and reach in a world of global giants. Damaging the UK’s creative industries. A sleep-walk into decay for the BBC, punching below its weight abroad, and Britain diminished as a result. Which means a UK dominated by global gatekeepers, partial news and American taste-makers,” he warned. “Down the other path is a strong BBC helping bind the country together at home and championing it abroad. A British creative beacon to the world. Providing a universal service for a universal fee. An Internet-first BBC which belongs to everyone and where everyone belongs. A BBC celebrating its hundredth birthday but with its best days ahead of it,” he predicted. “In the end, the choice will be that simple. The BBC has never been afraid of debates about its future. What we do is undeniably good for Britain and the British public. And will become even more so in the Internet age. So people who support the BBC will need to stand up for it, and speak up for it. Those who don’t should be transparent about their motivations, and honest about the consequences. We look forward to that debate,” he concluded.